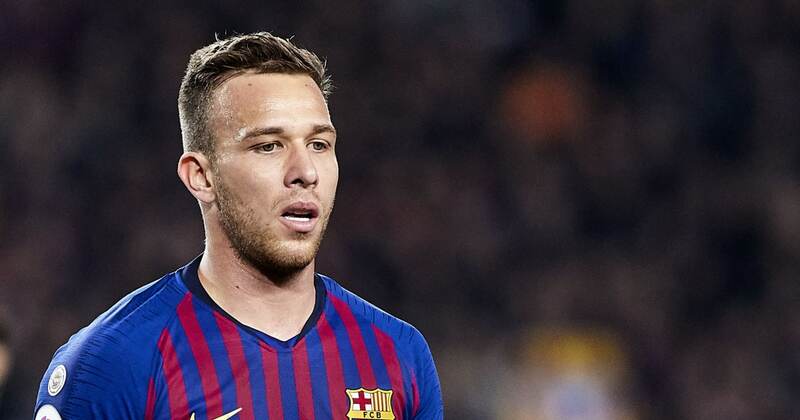 ?Barcelona have confirmed that their summer signing Arthur will be out of action for up to a month after suffering a hamstring injury. The Brazilian ace has been used sparingly by Ernesto Valverde this season, but has show real promise when given the opportunity to impress. The 22-year-old, who has been compared to club legend Xavi, will clearly play a big part in the club’s future, and could become a Barça stalwart for the next decade. ?Barcelona broke the news of Arthur’s injury on their ?official Twitter account, confirming that the player has had tests on a hamstring problem, which suggest he won’t be back in action until early next month. This means that the youngster could miss both of his side’s upcoming Clásico clashes – with the fixtures falling on 27th February and 2nd March. The precision passer played the full ninety minutes of his side’s ? ?1-1 Copa del Rey semi-final first leg clash against ?Real Madrid earlier in the week, but it is unclear whether he sustained the injury during the game, or whether it was picked up in a subsequent training session. Arthur has featured 26 times so his side this season, providing one assist. The Blaugrana ace spent time on the books of Goiás as a youth player, before joining the Grêmio academy in 2010. After a stunning breakthrough season in 2017, the Catalan giants swooped in last summer, signing the player in a deal worth around €40m. Arthur has six senior caps for Brazil, and made their standby list for the 2018 World Cup. In other news, ?Barcelona’s mega-money new signing Frenkie de Jong has revealed he wants to wear the number 21 shirt when he officially joins the club next season. The Dutch prodigy is remaining with Ajax until the end of the season, but is eager to keep his existing squad number when he turns out at the Camp Nou for the 2019/20 campaign.